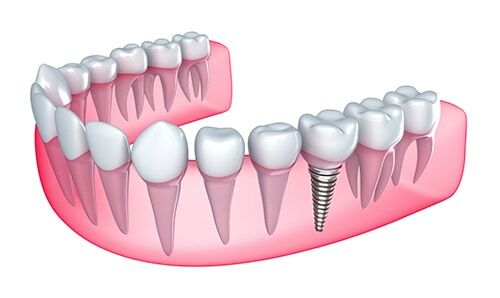 Dental implants are replacement tooth roots and offer a permanent solution for patients experiencing tooth loss. Implants provide a strong foundation for fixed (permanent) or removable replacement teeth that are made to match your natural teeth. Highly recommend this Dentist Office.Both the office staff and the doctors are extremely kind and attentive to make sure you feel at ease.I love how clean the entire office is, it has a great vibe. Most importantly everyone in this office is very professional and knowledgeable with great bedside manners. That's priceless! I'm so happy that I finally found an amazing group of doctors that I trust for my family and myself.We couldn't be in better hands. Son muy profesionales . Me encanta la amabilidad con que atienden. Incredible staff, genuinely caring, extremely clean, in and out and super flexible. What more can you ask for ❤ I dont give them more stars because it doesnt exist! Thank you so much! Estoy muy agradecida con todo el personal, me atendieron de las mil maravillas primera vez después de pasar tan malas experiencias. Muchas gracias. Best dentist office in Miami- very punctual, very professional...amazing dentists! If there was a way for me to give this business more than 5 stars i would because MA Dental and Associates deserves it. I have always been terrified of going to the dentist even as a child, but Pedro Erro and his staff made me feel at ease. My dentist sat with me and explained what was going to be done prior to starting any work and when the work began he took the time to explain the procedure every step of the way with patience and kindness. They were never bother by all the questions i had (believe me i had plenty). They treated me like i was family, they assured me that things were going to be ok and throughout the procedure they keep asking me how i was feeling. It shows they really care about their patients. The office is fabulous everything is so clean and modern. I felt like i was in a dental office on South Beach (LOL). They even have a mini espresso machine in the waiting room which i thought was fantastic. There was no wait time at all. I am happy to say that i will be making MADental and Associates my dentist for years to come.  Excellent service, best dentist office in Miami and outstanding customer service. The staff is always very friendly and courteous. I highly recommend you visit them ! Excellent service, always prompt with appointments and outstanding customer service. The staff is always very friendly and courteous. I highly recommend you visit them !!! Dr. Berry and his staff are true professionals that treat you like family. He is knowledgable and personable and shows concern for his patients. He always explains every procedure in detail and makes you feel very comfortable. Wait time is never more than 5 min and that's always a plus! Office is extremely clean! Two thumb up! Your dental health is important. Call and schedule am appointment today! They are open Saturdays for the convenience of all of us who work. This office and their staff make you feel welcome and comfortable. There is little to no wait time and that's a big plus!